Found in the London Borough of Enfield, Palmers Green is a suburban area in Greater London. With a population of around 15,000 and a great location in North London, there’s a thriving property market in the area. At My Home Move Conveyancing we’ve been improving our knowledge of local markets like in Palmers Green since 2001, enabling us to deliver a specialist, fixed fee conveyancing service. When buying or selling property in Palmers Green, you need to instruct property lawyers to carry out the legal work on your behalf. 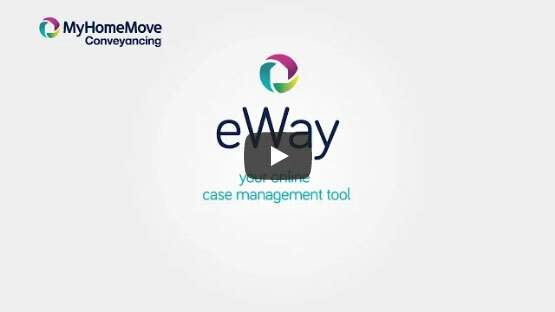 My Home Move Conveyancing offers our clients in Palmers Green an award winning level of customer service, innovative use of technology and intimate knowledge of the local market. There are no hidden costs with our professional, friendly conveyancing service, which helps us to build trust with our valued customers. Choose us as your Palmers Green conveyancers, and if you don’t end up completing, you won’t have to pay us a thing due to our ‘no completion – no fee’ policy. We’ll assign you a dedicated conveyancer who’ll take care of all aspects of your case from start to finish. You’ll have a consistent point of contact who’ll go the extra mile for you, as well as regular progress updates and online access to your account. At My Home Move Conveyancing we provide our conveyancing services in Palmers Green to help buy a variety of homes across the area, including in spots close to the train station, by Grovelands Park and in neighbouring places like Southgate with its London Underground station. The average house price in Enfield is £394,691, while the overall average sale price in Palmers Green during the past year was significantly higher than this at £502,234. Most sales in this period involved flats, which went for an average of £383,929. Terraced properties fetched £578,223 and semi-detached houses sold for £696,031. Palmers Green has humble origins as a tiny hamlet, growing into a small village at the start of the 19th century. It took another 30 or so years after the railway arrived in 1871 for any significant development to begin, with Palmers Green a popular place to live nowadays for its great access to Central London. There are plenty of shops, restaurants, bars and cafes in the area, while a Sunday farmers’ market is held in the car park of Palmers Green train station. It’s the more conventional use of the train station which makes Palmers Green so attractive, with services to Moorgate station taking less than half an hour. At Moorgate you can change onto a number of lines on the London Underground system, opening up central areas of the English capital. Alternatively, you can get straight on the Piccadilly line at nearby Southgate station. There’s a range of schools in the area for families with children to choose between, including Hazelwood Primary, Firs Farm Primary and Oakthorpe Primary. For older pupils, Palmers Green High School and St Anne’s Catholic High School for Girls are among the options, while London’s wide selection of universities is on the doorstep if you’re looking for higher education facilities. All properties in Palmers Green will fall within one of the following council tax bands.